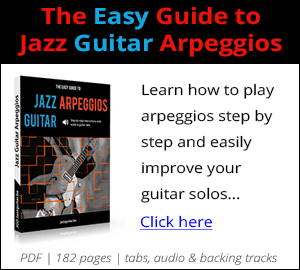 Jazz Guitars: So You Want to Buy a Jazz Guitar? When looking to buy your first or upgrade your current jazz guitar, there are many factors that should go into that decision. What body type do you want? What tone range/quality do you want/need? How much money do you want to spend? Etc. In this article we will explore some of the more popular jazz guitars on the market today from a variety of brands and price ranges. The first question one must ask when looking for a "jazz" guitar is "What style of guitar do I want?" Solid Body : This is the type of guitar that you usually find in rock, country and blues music, although solid body guitars do get used by many jazz guitarists as well. John Abercrombie has used an Ibanez Artist and Gibson SG, John McLaughlin has used many different Gibson solid body guitars over the years and Mike Stern has always used a Fender Telecaster, or a Yamaha version of a Tele. Solid body guitars produce consistent tone, have a high volume output, and are almost always immune to feedback as compared to the other two types of jazz guitars listed below. Semi-Hollow Body : This guitar is the "in between" model of jazz guitar. It is not as small as a solid body, but not as big as an archtop, it is somewhere in between. These guitars have some feedback issues, give a nice warm "jazz" tone and are known to be more versatile than the more specialized archtop guitars. Some of the famous players that have used these guitars are, Emily Remler (Gibson ES-330), Larry Carlton (Gibson ES-335) and Ben Monder and John Scofield (Ibanez Artists). Archtop Guitars : The archtop guitar is the quintessential jazz guitar as it has been used by numerous jazz legends throughout the history of the instrument. It is commonly associated with famous players like Wes Montgomery (Gibson L-5), Joe Pass (Gibson 175), Johnny Smith (Gibson Johnny Smith Model) and newer players like Russell Malone, Buscarino, Mark Elf, Benedetto and Craig Wagner (American archtops). The archtop has two sides to its presence in the jazz guitar world, the collectable guitar, and the performing guitar. Many high end archtop makers routinely sell their guitars for $20,000+, and are geared towards collectors and the few top professionals who can afford these instruments. On the other hand many other makers, Gibson, Gretsch, Ibanez etc, are aiming their instruments at the average player and making instruments that are much more affordable to today's players. Here's an overview of thirteen different guitars that are currently being used by jazz guitarists both amateur and professional. The 175 is probably the best known jazz guitar, along side its more expensive counterpart the L-5 CES, as it has been played by many jazz greats throughout the years. Though most professional players seek used 175's from the 1950's and 60's, the new reissue model is well built and caries many of the traits that made its predecessors legendary. Epiphone (Gibson's sister company) also has a more affordable ES 175 (around $500). The number 175 came from the price tag of the first Gibson ES models (1949): $175. Has been known to have feedback problems associated with any archtop guitar. Might be a bit pricey for some people who are not used to paying $3000+ for a guitar. Not as versatile as a solid body or semi-hollow body guitar can be, though with the right effects, ala Metheny, this guitar can get more sounds out of it than other arch tops in its class. Has a classic warm tone that has come to define the jazz guitar sound. Medium weight for an archtop, heavier than a solid body, but lighter than most other "big box" guitars. Reasonably affordably when compared to other archtops of its quality. Played by Pat Metheny, Tuck Andress, Joe Pass, Wes Montgomery (early years), Steve Howe (Yes), B.B. King (early years), Keith Richards, Howard Roberts among others. The ES-137 is designed to be an archtop that does not have feedback problems (semi-hollow body). It is similar to the Gibson 135 model, but is lower in price and has the added Mahogany center block that helps to reduce feedback. Though it is not in the same category as the 175, it is a great guitar for a student or intermediate level player that is looking for a good sounding, nice looking and affordable archtop guitar. Can still have slight feedback problems. Does not retain the resale value of the 175 or higher level Gibson archtops. Very well built for the price, is considered a more affordable version of the ES-175. Has the classic warm tone that is associated with Gibson Archtops. Mahogany center block helps to reduce feedback and allows it to be played at higher volumes than other comparable archtops. Very versatile guitar, suitable for jazz as well as rock, blues and other guitar styles. The Gibson L-5 has been a staple of the jazz guitar world for decades, due in great part to its use by jazz guitar legend Wes Montgomery during the 1960's. It was also the first-choice rhythm guitar in big bands during the swing era. The guitar is made with the highest quality one would expect from a high end Gibson guitar and it sounds as good as it looks. The only downside to a guitar like this is that it is a bit pricey to be taken out to a club or bar for a gig. Most people would be a little wary about bringing a $9000 guitar to a room full of people drinking and having a good time. But for those who want a great guitar to play with at home, or to record with, this is a great buy. Could be pricey for some first time archtop buyers. Not very versatile, pretty standard classic jazz tone. The new ones are not as well made or as collectable as the vintage models. It is one of the highest quality archtops that Gibson makes. Relatively affordable compared to other high end archtops. Maintains its resale value over time. Great tone, easy to play and has a great jazz look to it. Used by Wes Montgomery, Eddie Lang, Tuck Andress, Lee Ritenour, Larry Carlton, Freddie Green, Pat Martino, Django Reinhardt (during his tour with Duke Ellington). Jake Langley and many others. The Gibson Super 400 is one of the most sought after pre-electronic archtop guitars on the market. They are hard to come by as most people who buy them hang on to them for many, many years. This is due to the quality of the guitar, but also to its ability to increase in price over the years. The guitar debuted in 1934 and is the largest guitar ever produced by Gibson. Besides the early acoustic version, Gibson also released a version with P90 pickups and later with a Charlie Christian Pickup. Very pricey even for collectors. Has to be miked for concert performances. Top of the line Gibson archtop, incredibly well made. Very collectable and mint guitars only rise in price over the years. The PM-120 is the Pat Metheny signature model guitar made by Ibanez. Though it is not as collectable at the Gibson 175 that it is modeled after, it is a great gigging guitar, and one that is not too pricey compared to other guitars of this quality. A bit pricey for a foreign made guitar, definitely more of a collectors item than the Ibanez Artist or Artcore series. Still has some feedback problems because of the hollowed body. For the price a used Gibson 175 or other comparable Gibson would be better made and show as a better financial investment in the long term. More affordable than the Gibson 175 that it is designed after. The Ebony fretboard gives a nice warm tone that is associated with Gibson archtops from the 1950's and 60's. The Thinline body makes it a little easier to play than a full sized archtop. The Thinline body also cuts back on feedback problems that other full sized archtops have. The George Benson Signature guitar is Ibanez's other custom made archtop that was designed for a famous player and currently on the market. One thing a player should know before buying this guitar is that it is designed for Benson's recent specifications, not from his "jazz" years, more from his pop/rock days. Because of this the tone is going to match Breezin' more closely than Beyond the Blue Horizon, though some players may desire this sound over the older one anyway. Some feedback problems but not many. Not as collectable as the Gibson signature guitars. Some players do not like to play "signature" guitars. Finely built guitar that is durable and collectable. Great tone that comes from the use of higher quality wood. Great look and easy to play. The JP-20 is an out of print signature guitar from Ibanez that sold during the 1980's when Joe was under contract with the company. These guitars are hard to come by now a days, which is a testament to the quality of the instrument, so if you happen to see one on Ebay or at a rummage sale, make sure to pick it up! Well made guitar that is easy to play. Great Joe Pass like tone. Comparable in style and quality to Gibson 175's and other higher priced archtops. The Artcore is the guitar that Ibanez has picked to replace the highly popular Artist series. The original Artist guitars have been used by many great jazz players such as John Abercrombie, Kurt Rosenwinkel, Ben Monder and John Scofield. Though the Artcore series is not as well sought after as the Artists were/are, they are still a well made guitar for the price. This guitar is priced as an entry-level instrument and is definitely one of the better bang for buck jazz guitars. Not as well made or collectable in nature as the original Artist series. Uses cheaper woods than higher priced semi-hollow body guitars. Great buy for someone who is just starting to get into jazz or into archtop/semi-hollow guitars. Though known better in the country/rock world as the guitar of choice for many players, the Fender Telecaster has snuck its way into the jazz guitar idiom over the decades. Known for its warm tone, playability and build solid enough to take a beating, this guitar is a favorite among studio and traveling musicians of all styles. Doesn't give the "traditional" jazz tone, still warm but more "modern" sounding. Doesn't have the jazz guitar "look" to it. The neck is thinner than most archtops and may be uncomfortable to some players. Used by Ed Bickert, Ted Greene, Bill Frisell and Mike Stern. The G100 is Gretsch's version of the pre 1950 acoustic arch-top guitars that were popular among swing and big band players of the time, such as the Gibson Super 400 and others. The guitar is kind of a stand out in today's market it as it is one of only a few acoustic archtop guitars still in production. Needs to be miked to be heard with an ensemble. Very "traditional" sounding, not a modern sounding guitar. Larger body than some may be used to. Very affordable, especially for a brand name like Gretsch. The acoustic nature of the guitar gives it a very authentic WWII sounding tone that is reminiscent of George Van Epps and others from that era. Great for playing small intimate settings. The Epiphone Emperor is a classic jazz guitar that stands up against many higher priced guitars and holds its own. The laminated body makes it similar in nature to the Gibson 175, but the body shape and look are more reminiscent of the early Gibson electric archtops of the 1950's. This is a great guitar for someone who is looking to take it on the road or just play it regularly. Since the price is so low, one does not have to worry about a few dings or scratches than if they were playing the Gibson version of this guitar. Not very versatile, but a great jazz guitar. Full size might be uncomfortable to some players used to smaller bodied guitars. Very affordable for the quality of the guitar. As close to a Gibson as one can get without spending $1000+. Good tone and easy to play. Fairly lightweight and durable, great gigging guitar. The Aria Pro II Herb Ellis model guitar was made from the mid 1970's to the early 1980's and was designed to be an affordable alternative to the higher priced Gibson's of the day. The fact that these guitars are hard to find is a testament to the quality of the workmanship and the collectable nature of these axes. Well made for the price at the time they were being sold. Good tone with a classic jazz feel. Nice looking and durable instrument. The Gitane John Jorgenson Signature model is the company's attempt to bring back the same quality Selmer style guitar that Django used at a moderate price. The guitar looks and sounds fairly authentic and any gypsy style player would enjoy this guitar. Aside from the positive points it must be said that outside of the gypsy genre this guitar has limited use. Needs to be miked for a concert setting. Not versatile, great gypsy guitar but limited in its adaption to other styles/contexts. Great "gypsy" jazz guitar, very authentic to the models that Django would have used. Reasonably priced for the quality of the guitar. Good tone and nice authentic, aged look. Solid Spruce Top with Aged Look. Brazilian Rosewood Sides and Back. One more tip: don't judge the sound of a guitar amp in the music store, ask if you can test drive it for a couple of days. Guitar amps sound completely different in the shop than they do at your place or in a rehearsal. The best option is to buy them online, most shops offer a 30 or 45-day return policy. Join our discussion about the perfect jazz guitar in the forum.